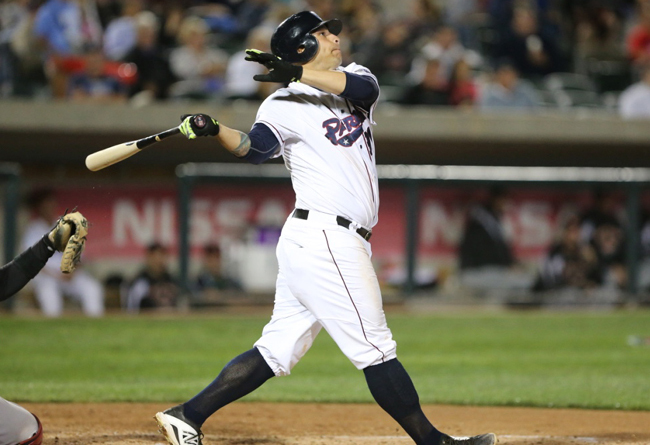 (Bridgewater, N.J., Feb. 20, 2017) – The Somerset Patriots have announced that three-time Atlantic League All-Star outfielder Aharon Eggleston has been re-signed for the 2017 season. Eggleston enters his fifth season with the Somerset Patriots and fifth in the Atlantic League. He was played in each of the last four seasons with the Patriots, and was named a mid-season All-Star in 2013, 2015 and 2016, along with being named a postseason All-Star in 2013 and 2015. Additionally, Eggleston was named to the 2016 Atlantic League Red, White and Blue All-Defensive team. Last year, “Eggy” hit .310 with eight home runs and 55 RBI. His .310 batting average ranked second on the team and seventh in the league, while his .388 on-base percentage led the team and ranked fourth in the league. Additionally, Eggleston finished second on the team in runs (73) and hits (142). Defensively, he recorded just two errors in 2013 chances in the outfield. The San Diego, California native enjoyed a strong 2015 as well, finishing second in the league in on-base percentage (.390) and seventh in batting (.289), while also tallying five home runs and 46 RBI. Eggleston continued his strong play into the postseason that year, leading the eventual Atlantic League champions with nine runs scored, including a .333 average, two home runs, three RBI and a team-high .529 on-base percentage. The lefty outfielder’s 2013 All-Star campaign included a .294 average over 120 games with eight home runs, 56 RBI, 12 stolen bases and a league-high 93 runs scored. Eggleston has hit .290 with 22 home runs, 162 RBI, 38 stolen bases and 286 runs scored in 417 games over his four seasons with Somerset. The Southern Arkansas University alum has a career .303 batting average in minor league baseball with 46 home runs, 509 RBI, 170 stolen bases and 726 runs scored over 1,040 games played.